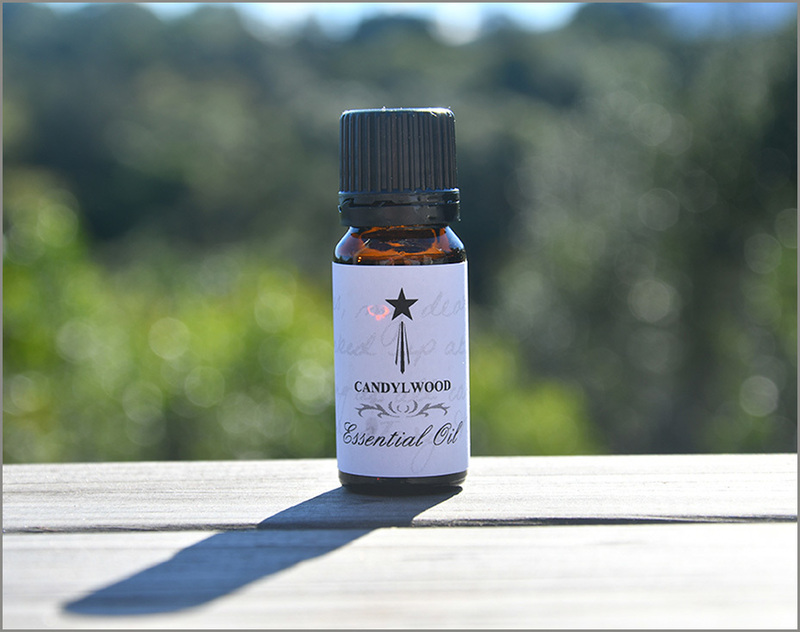 The essential oils are blended by hand in a little studio in the heart of the forests of the Crags. 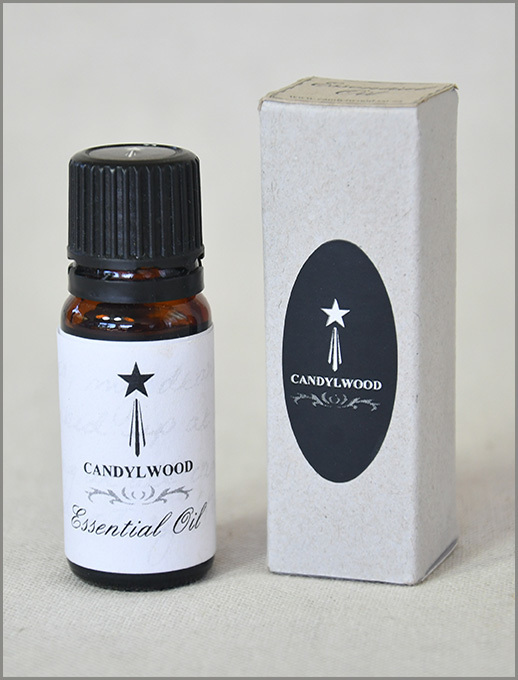 We believe that blending with the cycles of the moon and the intimate touch of the hand is what makes Candylwood's blend of oils special and unique. 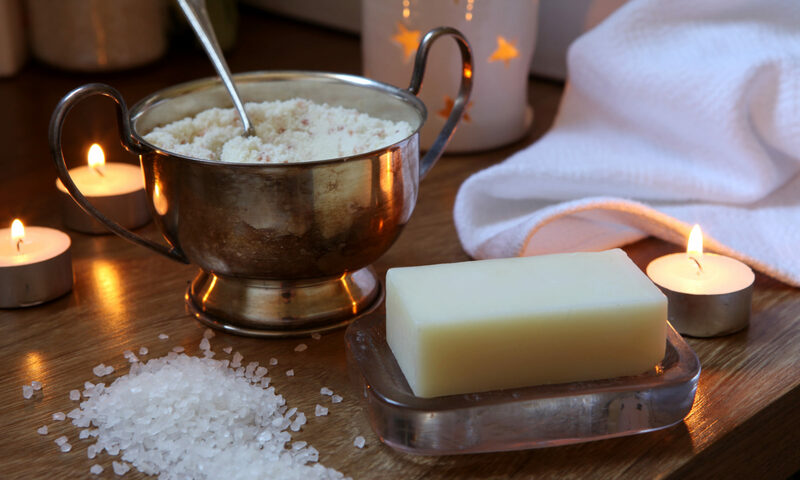 Essential oils have therapeutic properties, soothing and healing the fine layers of the being, they do not merely have a pleasant aroma. 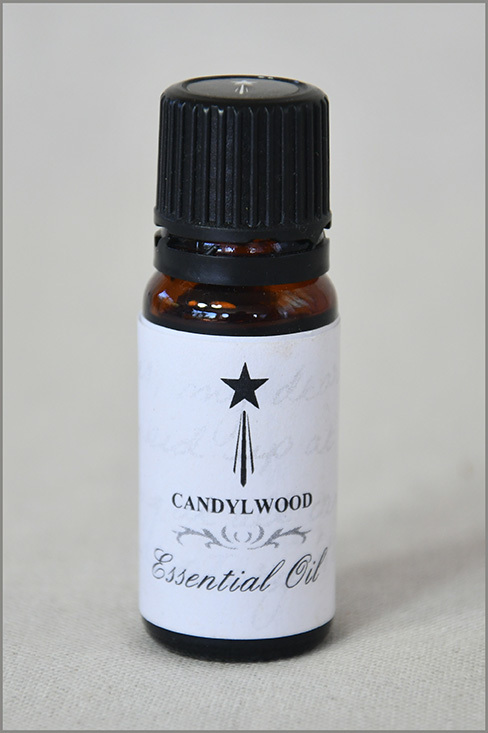 The Candylwood Essential Oil lifts the mind beyond the ordinary and into creative thought. It is refreshing and uplifting yet is inclusive, intimate and personal. It influences gentle conversation, generosity and balance. It inspires the aspiration to be spectacular. yourself in the refreshing and uplifting aroma and feel like the most special person on the planet. 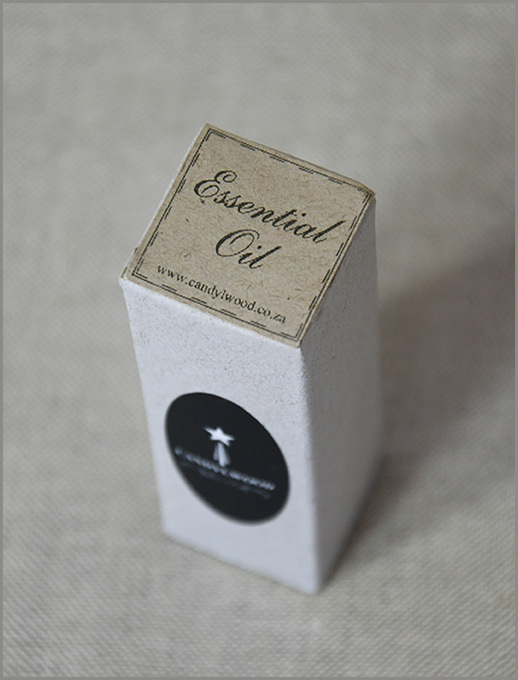 The bottle is packaged in a box that is hand-crafted from recycled board. The box is handcrafted from recycled boarding and the lid label is printed on recycled paper. Candylwood strives to be kind to the earth. Admittedly we shall get it wrong at times. But how do you know until you know? Then we shall do it differently. 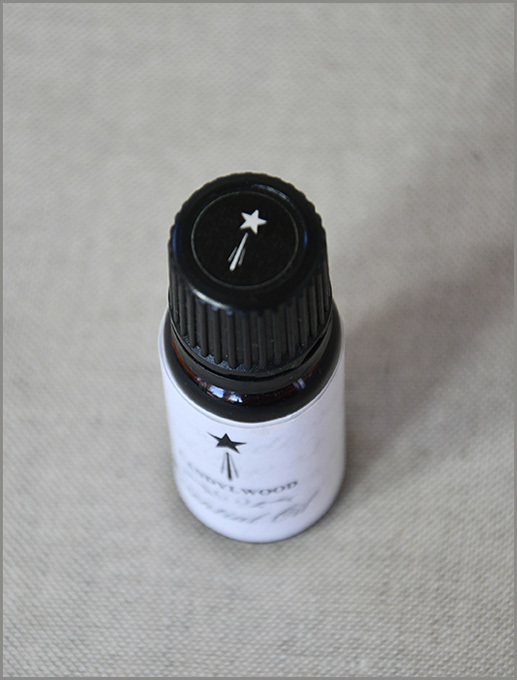 Oils: Lemon Verbena, Lime, Patchouli, Cape May, Rose Geranium, Candlewood (Amyris).